Speaking to ABC's George Stephanopolous on Sunday about the so-called fiscal cliff, Coburn said that he would be willing to accept tax hikes for the top 2 percent of earners if Democrats and President Barack Obama agreed to reform Social Security and Medicare. The ABC host pointed out that Obama's health care reform law had already achieved about $716 billion in Medicare savings and many Republicans -- including former Republican presidential nominee Mitt Romney -- ran against those cuts. "The $700 billion in savings doesn't save the government a penny because what it does is takes that $700 billion and spends it on other people," Coburn insisted. "We've seen the president demand that we're going to solve 7 percent of this problem [with tax hikes on the rich] but he's totally inflexible on the other 93 percent." "It doesn't really matter what happens at the end of this year because ultimately the numbers and the bond holders throughout the world will determine what we'll spend and what we won't. So, we can play the political game that is being played out in Washington right now or we can be absolutely honest with the American people and say, 'Medicare is going bankrupt, Social Security disability will be bankrupt in two years, Social Security trust fund will be bankrupt in five years, Social Security total will be bankrupt in 16,17 years.'" "The fact is we are spending money we don't have on things we don't absolutely need," he concluded. "And there's no grownups in Washington that will say, 'Timeout, stop the politics, let's have a compromise rather than play the game through the press and hurt the country.' We're already going to get another debt downgrade just from what's happening now because nobody in positions of power are willing to do what's important and necessary for our country." At least Sen. Debbie Stabenow (D-MI) had the balls to call him on his BS, unlike the Haircut. Meanwhile over a DKos, Troubadour asks "Why Aren't We Talking About EXPANDING Social Security and Medicare?" SNL's opening skit had a beaming Obama and a glum Boehner at a joint press conference... where Obama explained his last offer was to raise taxes on the two highest incomes - that's two people - and in exchange dissolve social security. The republicans didn't go for it. Last edited by MRRiley; 12-10-2012 at 06:52 AM. "Things" we don't need - Coburn? If that is the case, he can give me back my FICA and employer match for the last 25 years. 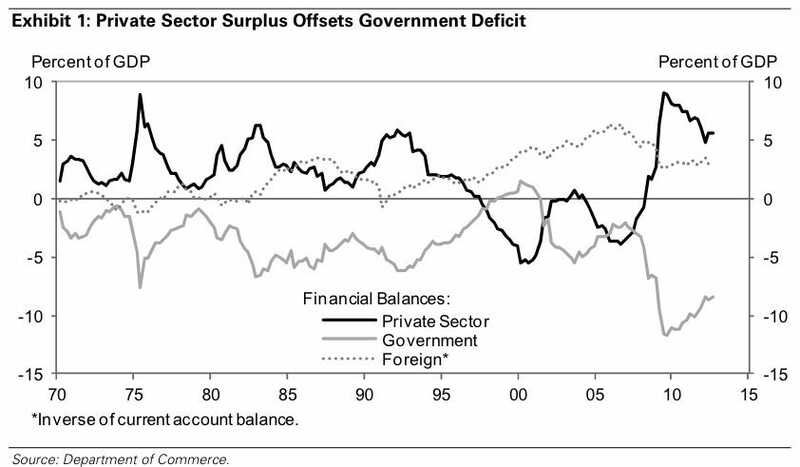 Basically, in order to have above trend growth, a cyclically strong economy, you need to have some sector that wants to reduce its financial surplus or run a larger deficit in order to provide that sort of cyclical boost, most of the time." Last edited by jeffkrol; 12-10-2012 at 07:54 AM. We don't need it? Ok Senator Coburn, I'll agree as long as you give me back every dime I paid into the system. It's called restitution, something required of thieves who take peoples money and then don't make good on the services they promised. For example, the nation will spend close to $300 billion in 2011 on prescription drugs. In the absence of government-enforced patent monopolies, the same drugs would cost around $30 billion, an amount that implies a transfer to the pharmaceutical industry of close to $270 billion a year, or about 1.8 percent of gross domestic product. It is close to 15 times current federal spending on the main government welfare program, Temporary Assistance for Needy Families (TANF), and it dwarfs the money at stake from a main goal of progressives: eliminating the Bush tax cuts for the wealthy. Not to mention just letting Part D negotiate. Ah, but then would we have to go back and re-negotiate certain Republican election wins?